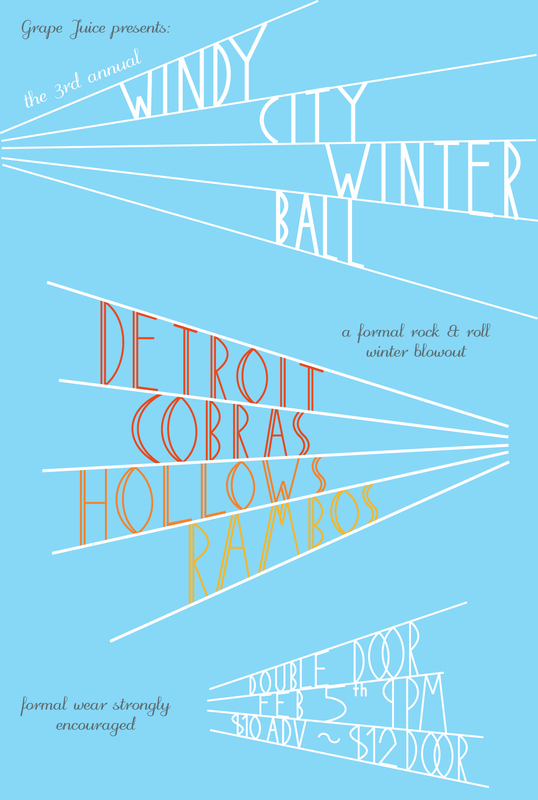 Garage icons, Detroit Cobras, will be driving through Chicago (snow storm permitting) this Saturday headlining the aptly titled 3rd Annual Windy City Winter Ball at the Double Door presented by Grape Juice Records. Also on the bill are Hollows and Rambos. Never heard of Rambos? I hadn’t either, but this promo video intrigues me.